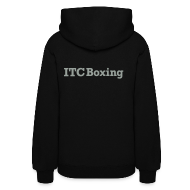 In This Corner (ITC) Boxing Fitness Centre proudly provides boxing fitness training programs made accessible to everyone! The fitness of boxing is for anyone with basic fitness or weight loss goals but intense enough for athletes who require more specific cross-training. We use the techniques of traditional boxing to provide a unique, fun and effective full-body workout in an authentic environment.